A fantastic venue for new comers to the sport of sea angling or for those who have difficulty in walking to venues. 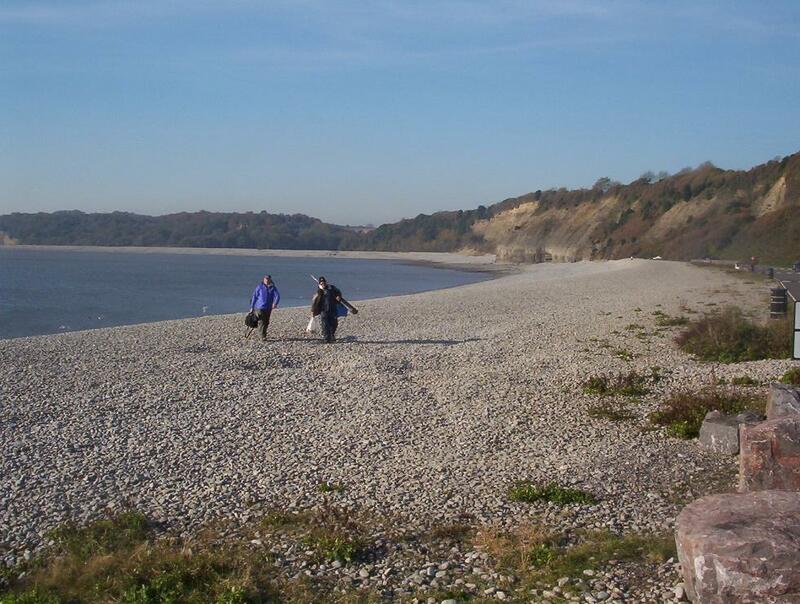 Cold knap consists of a large pebble beach with a steep drop into the ocean for the first 30 yards or so. Theres a large carpark right next to the sea, toilet facilites and plenty of rubbish bins along the beach. This venue can be very hit or miss, we've had some excellent nights fishing here only to return a day or two later and catch nothing. The beach itself consists of pebbles with a few sandy spots being exposed at lower tides. Deep water is easily reached at high tide even for the most novice of casters and despite the pebble covered sea bed tackle losses are minimal. Best times to fish the beach are on the bigger high tides 13m+ as the give a really good depth of water. No one spot seems to be more productive than any other, although some reports suggest that the point (toms point) at the left hand side of the beach (if your looking out to sea) is better. The right hand side of the beach (towards Porthkerry) does seem to be a little more snaggy. A word of warning this venue can get very busy and although there is plenty of room it can be a little over fished at times. A good venue that will produce dogfish, pouting, conger, rays, bass and rockling in summer. With Codling and whiting being the main species in winter. Best baits include Mackerel, ragworm, lugworm and sandeel.